This week we were able to ramp up production but the speed was not as fast as we planned. 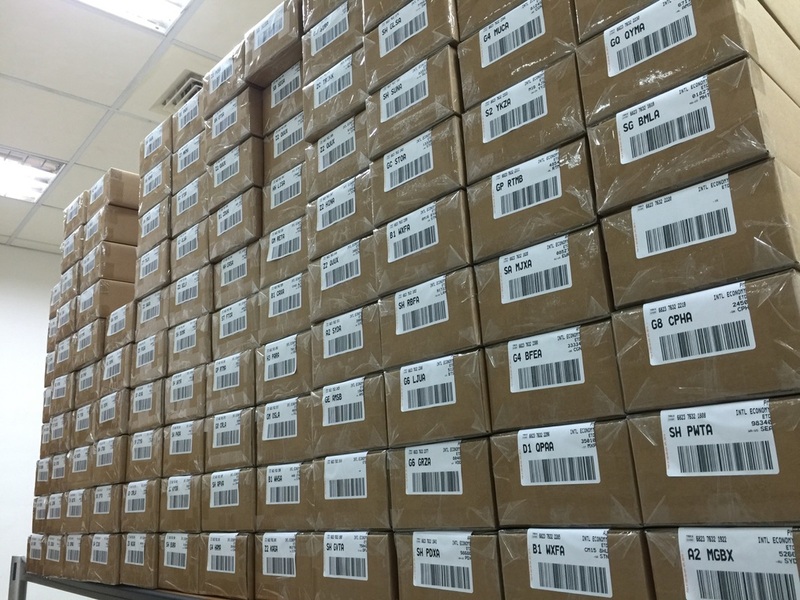 We shipped around 450 ProView S3 compared to 300 last week. All orders placed before March 9 should have been fulfilled unless shipping address has not been confirmed. Our new forecast for next week is 600. Based on the new production forecast, our shipping plan is revised as below. We received first video, scenery of Sun Moon Lake of Taiwan, taken by a backer using ProView S3. 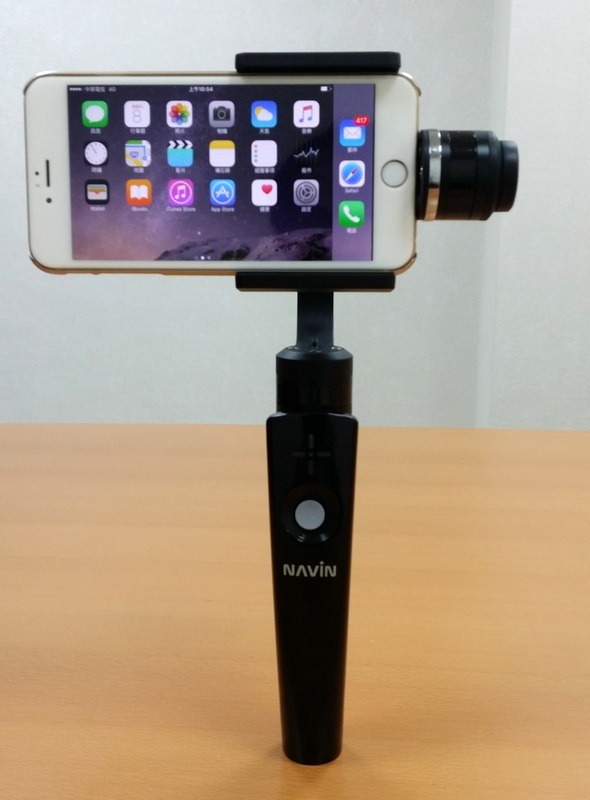 If you also have video to share, please let us know, https://www.facebook.com/NAVINCorp/. 這週我們提高了產能, 但增加的速度不如預期的快. 比起上週出貨的 300 支, 這週我們總共出了約 450 支. 除了因為出貨的地址及電話還未確認, 所有在 3 月 9 日前的訂單, 都已出貨. 我們預期下週能將產能提高到 600 支. 依據產能的預估, 我們新的出貨計畫如下. 3 月 23 日前預購者, 預計 10 月 28 日前完成出貨. 5 月 31 日前預購者, 預計 11 月 4 日前完成出貨. 10 月 14 日前預購者, 預計 11 月 11 日前完成出貨. 我們已經從台灣朋友收到第一支用 ProView S3 拍攝的影片, 展現了美麗日月潭的風景. 如果您也願意分享您拍的影片, 請讓我們知道, https://www.facebook.com/NAVINCorp/. Thanks to all the people that backed ProView S3 crowdfunding campaign making it a success, we are able to go mass production bringing ProView S3 to the world, thus able to continue our ProView S3 drawing contest to draw out 30 lucky winners. Below are the 30 lucky winners. We'll contact our Indiegogo crowdfunding campaign backers confirming shipping address before we ship out ProView S3 in July. The winners will be contacted at the same time for the shipping address. Winner's ProView S3 will be shipped around the time when we ship for last of our Indiegogo crowdfunding campaign backers. 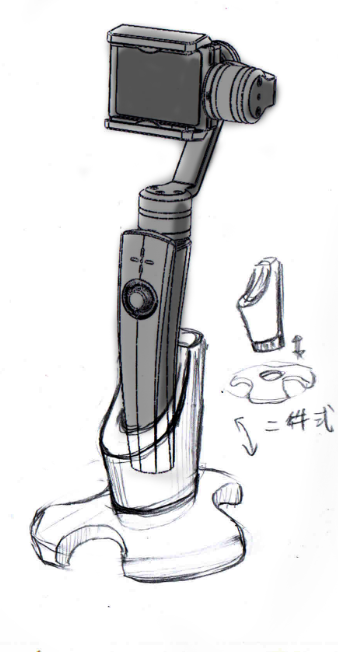 Below video shows the drawing process. 感謝眾多支助 ProView S3 集資活動者, 讓集資活動成功得以進行量產, 我們才有辦法繼續 ProView S3 的抽獎活動. 下列 30 位的幸運得主. 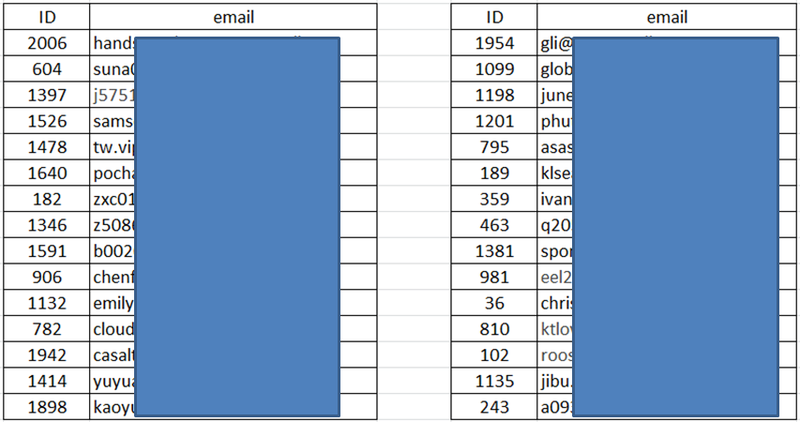 7 月我們要寄送 ProView S3 給集資支助者之前, 會 email 確認寄送地址, 那時我們也會與抽獎得主聯絡詢問寄送地址. 等我們把最後集資支助者的 ProView S3 寄出時, 抽獎得主的 ProView S3 也會同時寄出. 下方影片顯示抽獎的過程. Few Highlights on our Engineering Progress. ​(2) Below video shows underslung mode using the new gimbal part we gotten yesterday. ​(3) Below video shows portrait / vertical mode. Thank you and wishing you a great weekend! We'll be launching ProView S3 Indiegogo campaign next week. Remember to sign up and get early notice, to be the lucky one for $125 Early Bird Perk if you haven't done so. Remember this for filming yourself without cameraman? 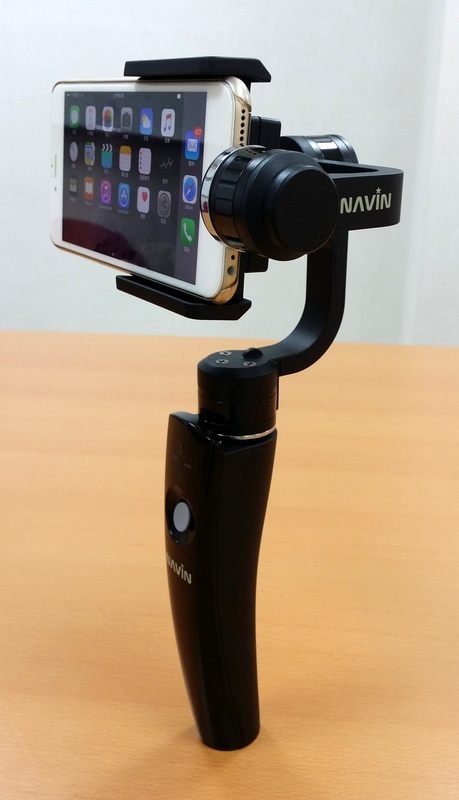 ​http://kck.st/1RS9F8G ​We expect to have a stretch goal of making available an additional perk of a gimbal stand and an App for outdoor follow me video shooting function. Video recording Phone A on ProView S3 receives camera direction command and GPS coordinate from remote phone B, phone A streams video over WiFi to phone B and sends direction command over Bluetooth to ProView S3. Once manual adjustment made having person carrying phone B in view centered on Phone A, auto tracking & video recording of person carrying phone B can then be accomplished using GPS from both phones. Having this video streaming and remote control from another phone also unleash an interesting application like Freefly Tero, http://freeflysystems.com/tero . One can do amazing low angle video shots using open-source ArduRover and related moving platform using RC controlled vehicle. This exciting extended application will later be worked on this if the stretch goal reached. Below is proof of concept demo showing video streaming from phone-A on the gimbal to phone-B, while phone-B controls camera direction of phone-A. Rapid prototyping code without any optimization, thus the behavior is very sluggish. Below is another proof of concept demo showing phone-A on the gimbal tracking phone-B using GPS. Rapid prototyped code without any optimization, thus behavior is very sluggish. A while back we did this elevator test. 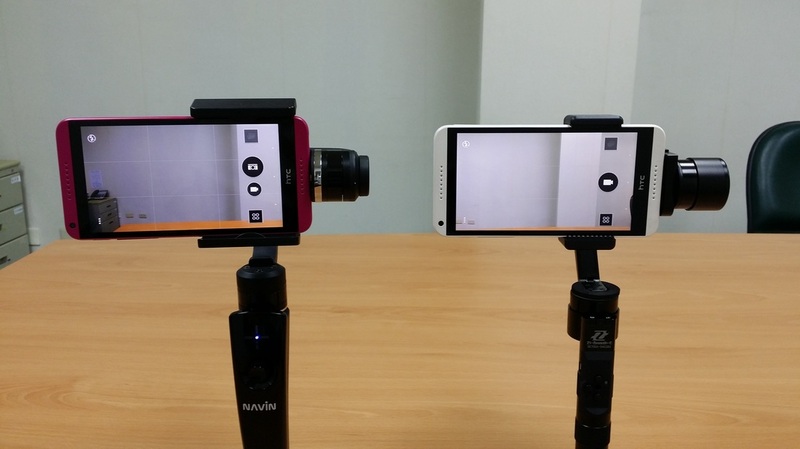 Test setup: fix another HTC phone to ProView S3 to record stabilized and non-stabilized video simultaneously. Below compares gimbal horizontal yaw drift rate with a latest model on the market. The video is speeded up, with clock on the smartphone lying on the table showing elapsed time. 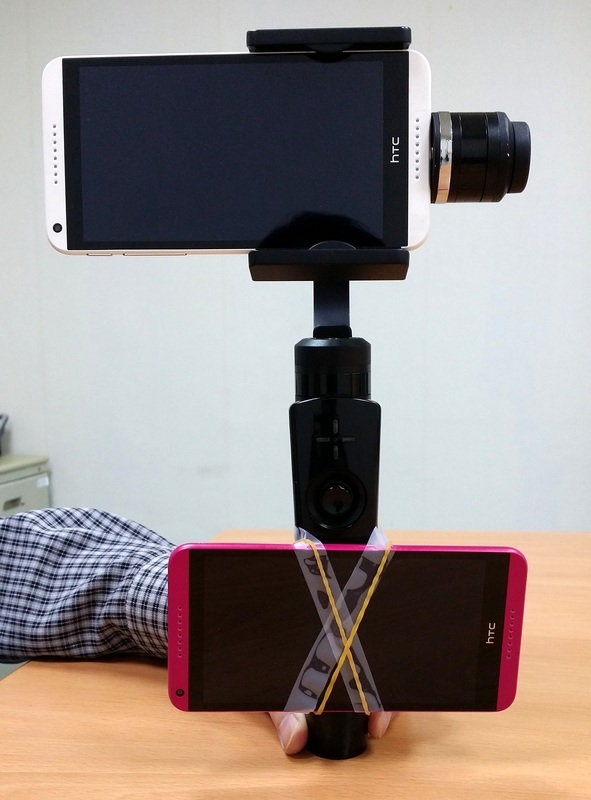 After a month of engineering work on improving stabilization control, we are now happy present our result comparing with a latest smartphone stabilizer model brand on market. 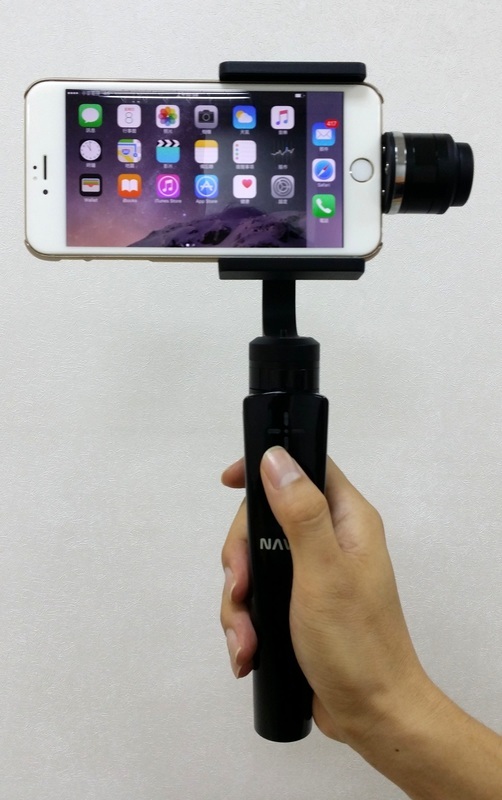 Videos is made by a person holding two gimbals on each hand. Although we tried to use same HTC model smartphones from colleagues for comparison, one was previously rooted with different operating system, thus causing video colorization quality difference for the videos made on the two phones. So try to see if there is difference in video stability, not color quality. With most of the engineering issues getting resolved, we are now moving forward to prepare for crowd-funding campaign! 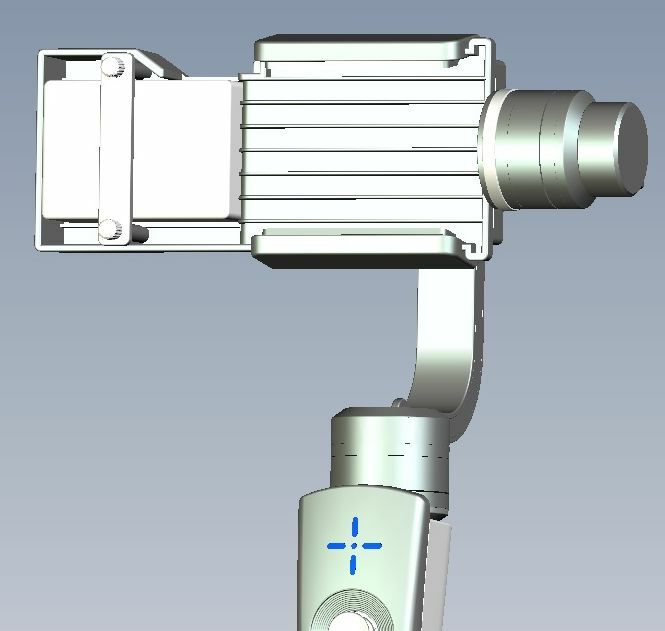 Design of smartphone gimbal is harder than originally expected. Some issues still remain with the 2nd prototype, and we did a 3rd prototype revision, thus taking such a long time and with a long silence. After extensive hard work on the software, we now have some early results to show, although still far from perfect nor having all needed functions implemented yet. After more time working on the software, we hope to show something more impressive next time! Thank you for bearing with us on this less than satisfactory slower development schedule, and our principle of not starting crowdfunding campaign until the design is near production ready. We received 2nd version of CNC-milled design this week. It looks much better than 1st version, and had weight reduction of about 200g. The new PCB is still awaiting for some components to be SMT mounted next week and to be assembled for testing. Yes! 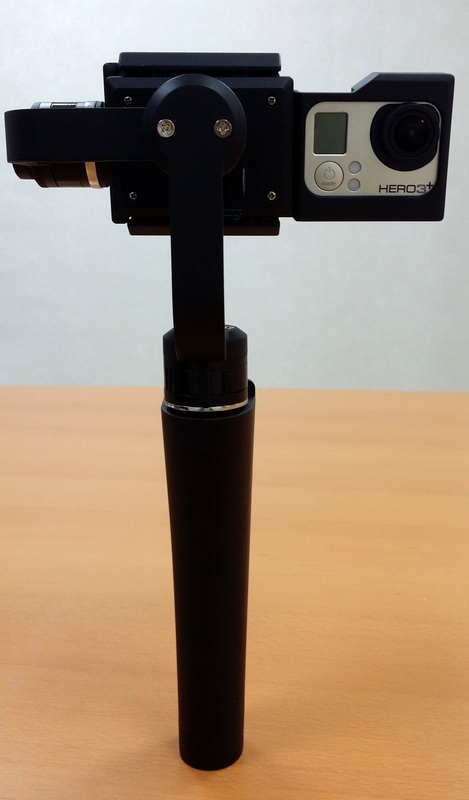 We have accessory mount for GoPro! It looks great too! After CNC-milled prototype came out, we found the design were somewhat heavy, and there were issues that'll cause assembly difficulty in later mass production. So during the past few weeks, we have been busy changing the design to trim down weight, and make the design easier to manufacture. The 2nd CNC-milled prototype that we send out to make is expected to return later next week. A good news is that we've made an accessory for GoPro cameras of 41mm x 59mm size. 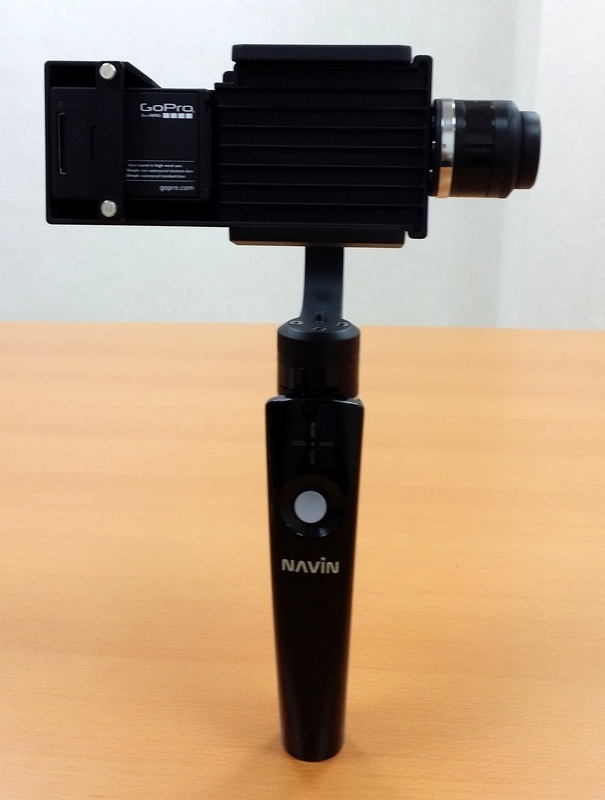 Users with GoPro can use ProView S3 with it also! The smartphone grip on the CNC-milled prototype was very brittle, cracked the second day we used it. The mechanical design company assured us that final mold-injected plastic grip will be quite strong, won't crack easily as the prototype. Firmware for ProView S3 is being worked on all these time. Below shows a demo operation with wooden plate in place of a smartphone. Due to firmware not fully optimized yet, motion is still a bit slow and we are working to improve it. Getting things fully prepared took longer than expected. Thus launching of Indiegogo campaign will slide into latter half of October. Rather than launching campaign early without fully functional prototype but with mock-ups, we firmly believe it's better to launch with realistic shipping schedule after we get everything right. Recently there are software stabilization methods appearing. The file conversion time may be quite significant with large 4K videos that'll become popular with introduction of iPhon6S and iPhone6S+. The tried and true method of brushless gimbal stabilization technology might still be the best approach to video stabilization without any video quality degradation and conversion wait time. Thank you for bearing with us a little longer!